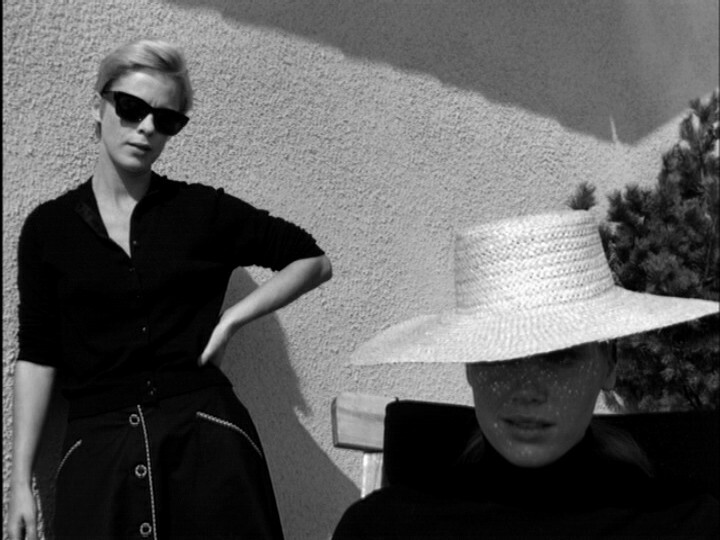 Ingmar Bergman's Persona oozes with style. The legendary director would shudder at that description of his thought-provoking film. However, every still from the beautifully-shot feature is fit for a fashion magazine. The film centers on the day-to-day interactions between a famous actress (Liv Ullmann) who has become mute and the nurse (Bibi Andersson) who's hired to take care of her. As they spend time together at a secluded seaside home, their identities merge. This psychological thriller has challenged audiences for decades. But Andersson's style in Persona is as iconic as the feature itself. Her pixie cut, bold sunglasses/eyeglasses frames, sun hats, and stylish dresses are mainstays of modern fashion.